Fiji is probably not the first country that would come to mind when considering options to outsource your contact centre, but this white paper presents the case for considering it. 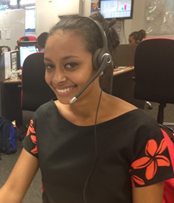 The cost of a contact centre in Fiji is less than half Australia, Sydney is closer to Fiji than Perth, and English is almost universally spoken. The accent is neutral and easily understood by customers in Australia, the UK and US, and literacy rate is 94% (significantly higher than India or the Philippines). Further, the telecommunications infrastructure is “first world”.